This collection gives a diversified account of world literature, examining not only the rise of the concept, but also problems such as the relation between the local and the universal, and the tensions between national culture and global ethics. In this context, it focuses on the complex relationship between Chinese literature and world literature, not only in the sense of providing an exemplary case study, but also as an introspection and re-location of Chinese literature itself. The book activates the concept of world literature at a time when it is facing the rising modern day challenges of race, class, and culture. Introduction: What Is World Literature? 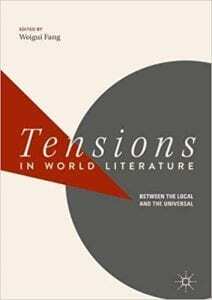 4 World Literature and the Encounter with the Other: A Means or a Menace? Editor: Dr.Weigui Fang is a Distinguished Professor at the School of Chinese Language and Literature, Beijing Normal University, China. He is “Changjiang Scholar” and the Director of the Center for Literature and the History of Ideas at BNU. Before BNU, he taught at University of Trier, University of Göttingen, and University of Erlangen-Nuremberg. As an internationally acclaimed comparatist, his research is focused on Comparative Literature, modern Chinese culture, and literature, History of Concepts, and Sociology of Literature.